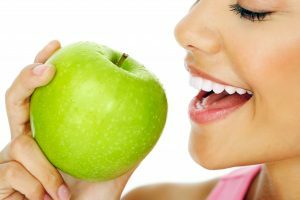 Can your bite function really affect your oral health, or your life in general? If you have an uneven bite, you could wind up straining your jaw joints, and developing a problem with TMJ dysfunction. A poorly aligned bite could also lead to a concentration of wear and tear on certain teeth, making them more susceptible to problems. If you want to find a solution to the problem, you may need to explore your orthodontic treatment options. Your Bellaire, TX dentist’s office can welcome you, and examine your needs. There are different orthodontic appliances that can be useful for addressing the needs of a person with crooked teeth. By finding and pursuing the treatment that best fits your needs, you can address the alignment problems that impact your bite function. The changes made to your smile can be obvious after orthodontic work. Consider how prominent your smile is as a feature, and how easy it can be to see improvements by closing a gap, or correcting overlaps. While this can have clear esthetic benefits, there are oral health advantages that should also be recognized. By straightening your teeth, you can correct problems with your bite function, and make it easier to clear away plaque and debris around teeth that used to overlap. What Options Do I Have For Orthodontic Treatment? Traditional metal braces, and lingual braces, rely on a system of brackets and wires to move teeth. For people with more significant alignment concerns, these appliances can be recommended. Individuals with mild or moderate alignment problems can also look into clear braces. A sequence of clear aligners are used to gradually move your teeth, until your final aligner brings them to their ideal places. At Contemporary Dental And Orthodontics, patients who want to fix orthodontic problems can explore the treatment options available to them. Our practice is proud to provide dedicated smile care for individuals in Bellaire, TX, as well as the greater Houston area. For more information, you can schedule a consultation by calling Contemporary Dental today at 713-668-9119.